My parents watch the news, which would drive me bonkers. That stuff is even more emotional and rage-inducing than written news, and on purpose. I'm always telling them to turn Fox off, as it's only manufactured to upset them, but they don't care. They come from a generation where your news came from the TV. I can't say that I read any papers other than our local one, at least in physical form, but I do read quite a few news outlets online and it still gets rather depressing. There's a subscription box for just about everything these days, and gardening is no exception. If you need the perfect gift for a gardening guru or for your own set of green thumbs, try My Garden Box. It's a monthly subscription service that comes with seasonal items, clear directions for use and everything you need to grow seeds, create eye-catching focal points in your home and really embrace your inner gardener. Years ago, my younger sister said she'd love to be able to carry her ID and credit card in her skin in microchip form. "Blasphemy!" I wailed, clutching my pearls like the Millennial luddite who refuses to get a new phone until it doesn't work anymore, at all, that I am. That's some scary Terminator stuff right there, amirite? It turns out that she wasn't alone, and today thousands of Swedes are doing something along those lines. As a teen, I loved frogs so much. My boyfriend would pick me up stuffed frogs all of the time, but there weren't many options in terms of frog clothing. We'd have to wait until summer to go to Six Flags and get Peace Frogs gear if we wanted shirts and stickers, but the Internet changed all of that! Whether you're in the mood for deviled Scotch eggs, a traditional Ploughman's platter or everyone's favorite, corned beef and hash, you can find it all at Mulleady's Irish Pub. Of course you'll find plenty of blended items that mix Irish and American fare, like a pure country beef burger complete with tomato jelly and local mussels, so you're bound to find something to please everyone in your party. There's bone marrow for those who love rich, luxurious eats, and the Dravus St. Whether you're a teacher looking for a great way to introduce poetry to your students, a parent who wants to do the same or a doting loved one looking for a great gift for a child in your life, A Child's Introduction to Poetry is a wonderful idea! Not only does this wonderful collection contain a bit of everything, from the silly to the serious, the haiku to the ballad, but it also comes with a fun CD that makes it even more interactive for the senses. My family and I love to craft geeky stuff for the holidays. My husband and I have made our daughter everything from a felt, plush Calcifer from Howl's Moving Castle to her own Marauder's Map, and my daughter and I have made so many geeky snowflakes, from Darth Vader to Doctor Who cybermen and adipose snowflakes. Many of these have been super complicated, however, and I was happy to find this tutorial at Geek Mom with some helpful tricks. Leaving holiday dinner to the last minute can be stressful for anyone, but Aldi makes it so much easier on my family and me. For years I didn't shop there after seeing some disturbing things happen as a kid (there were weavils in some flour my family bought there once, I think), but today Aldi is clean, affordable and my favorite place to stock up on the essentials. Can I confess something to you? I gave up sugar for most of the year, but ever since we hosted a teen holiday party for my kid's friends over a week ago I've been adding a bit of hot cocoa powder to my coffee! I don't do it every day but man, when I do, does it give me a burst of holiday cheer. I know I can make my own "keto" cocoa with heavy cream, sweetener and cocoa powder and I do that sometimes, but there's just something about that big chocolatey can (which I'm sure is full of crap) that the kids love. It smells like Christmas. The markups on prescription drugs are like the ones in all things healthcare related: absolutely outrageous. Not a week goes by when I wonder what it might be like to live in a country where healthcare is a right and medicines average around $5 each. And before you say, "Like it or leave it!" as many people use to argue against universal healthcare or Medicare expansion, can we just agree that implementing positive change is OKAY to do in your country? I have to laugh every time I hear someone (usually a white, midde-aged man) complaining about some piece of media ruining his childhood because someone is daring to reboot it. The new Ghostbusters film, which featured four women as the Ghostbusters, seems to have been the biggest movie with this complaint, and Star Wars is probably close behind with all of its gasp! women and gasp! people of color in the cast. The Mighty Girl blog is a great place to find resources like books, blogs, toys and other information that comes in handy for raising Mighty Girls and boys who respect them. Recently they shared a blog post featuring seven skills to teach your daughter by age 13 and it's full of great information that can come in handy for any parent. There are skills from self-confidence and expression to sports and sexuality knowledge--all things that all children can benefit from learning about. Subscription boxes are all the rage these days and you can subscribe to everything from book boxes to cat treats, makeup boxes to fishing lure sets. Subscription boxes allow you to pay for and receive new goodies based on a theme every month, and while you usually get a curated surprise with a value that's equal to or exceeding that of the price of the box, sometimes it can be a dud. It's a risk you take, but those who subscribe usually do it for the fun of the surprise. Life's Library isn't a book club for John Green fans who are expecting to read his works. Instead, it's a collection of books selected by Green and Rosianna Halse Rojas that's curated around a community of readers who get to discuss the books online together. Every six weeks, the club discusses a new book in a Discord community. The books aren't chosen around a theme, just books that the curators really enjoyed and want to share with the community. The Republic of Kazakhstan biggest country that is landlocked. It is the ninth biggest country inf the world. While the southern parts of the country are located on the continent of Asia, the northern parts are located on the continent of Europe. 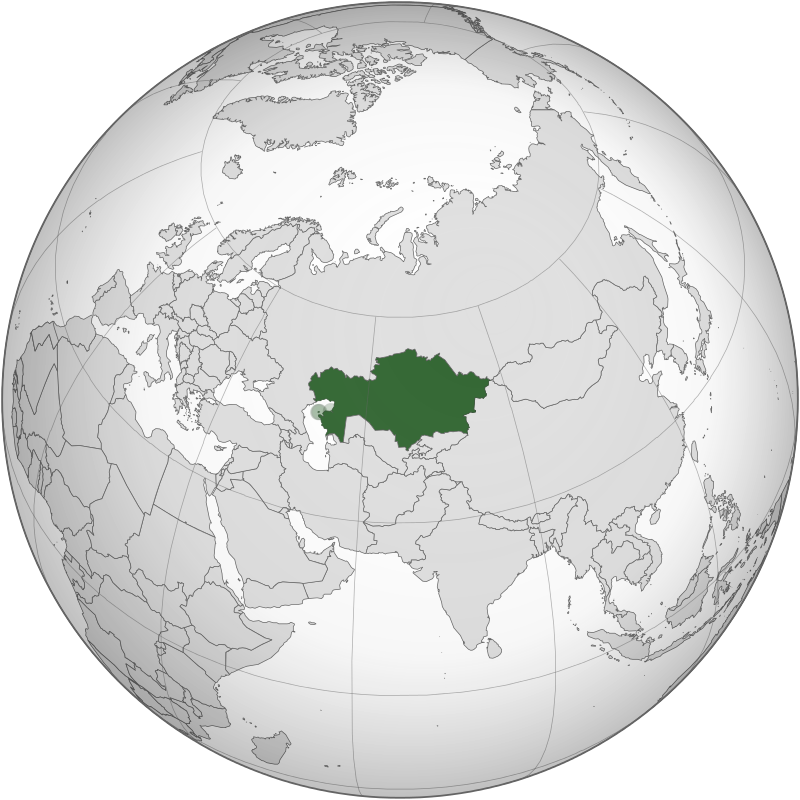 Kazakhstan is considered to be the economically dominant country of Central Asia. It accounts for about sixty percent of the GDP of the whole region.